Westworld Season 2 Trailer Shows Shogun World | Nerd Much? HBO has finally opened up the doors to Westworld once again. The network released a full length trailer for Season 2 of the show and there’s so much going on within it that it’s hard to keep up. The entire trailer is set to an orchestral version of Nirvana’s “Heart-Shaped Box.” It’s quite beautiful. Westworld’s series composer Ramin Djawadi fantastically covers the score. And it delivers a tone that the trailer itself is also trying to convey. A sense of revolution and violence, but with an air of delicacy. As for the trailer itself, it’s tough to follow. We’re once again seeing (likely) flashbacks of Bernard’s conversations with Delores prior to Season 1’s uprising. They’re intentionally unnerving now knowing where things stand with her then so innocent character. 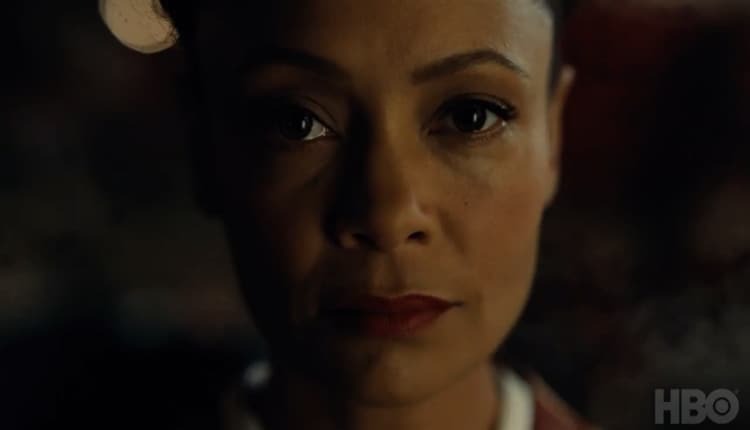 Thandie Newton’s Maeve is still on the hunt for her daughter. Despite being told that as a host, the child can’t actually be hers. During her segments we get quick glimpses of Shogun World. So her story will likely introduce that segment of the overall park. There’s also a quick shot of Japanese geisha to help confirm the locale’s existence in Season 2. James Marsden’s Teddy appears as reluctant as ever. He doesn’t seem to be wholly on board the revolution that Dolores is leading. Or at least how violent it has become. We also get a shot of Luke Hemsworth’s Ashley Stubbs as he and his troops hit one of Westworld’s beaches military style. They’re setting up a command center as they try to shut down the host’s revolution within the park. Ed Harris is back as William/The Man in Black. He states in the trailer that he’s “going to burn this whole thing to the ground.” He could be talking about the revolution in general, or something more specific that we aren’t privy to yet. Jimmi Simpson is in the trailer too confirming we’ll be seeing the younger version of William once again as well. It will take quite a few watches of today’s trailer to make sense of it all. You’ll have plenty of time to get your views in. Westworld returns to HBO on April 22nd.